Yale University Press, 9780300098617, 320pp. 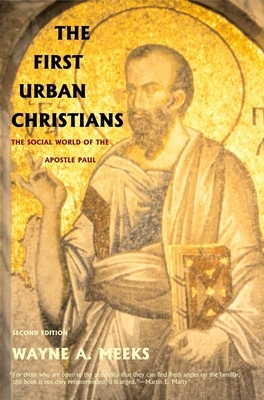 In this classic work, Wayne A. Meeks analyzes the earliest extant documents of Christianity—the letters of Paul—to describe the tensions and the texture of life of the first urban Christians. In a new introduction, he describes the evolution of the field of New Testament scholarship over the past twenty years, including new developments in fields such as archaeology and social history. Wayne A. Meeks is the Woolsey Professor Emeritus of Biblical Studies, Department of Religious Studies at Yale University. He is also the author of The Origins of Christian Morality and In Search of the Early Christians, both published by Yale University Press.